It's hard to believe it's been almost 16 years since "Friends" fans first set eyes on Ross and Rachel's adorable daughter, Emma. Now, baby Emma — or rather the twins who played her, Noelle and Cali Sheldon — are teenagers and starring in Jordan Peele's terrifying new thriller, "Us." And this time around, the girls aren't acting so sweet. While the worst thing little Emma ever did was shock her mom (played by Jennifer Aniston) with her love for Sir Mix-a-Lot's hit song "Baby Got Back," the 16-year-old Sheldon sisters play much nastier characters in "Us." The twins star as Becca and Lindsey, the obnoxious daughters of Kitty Tyler (Elisabeth Moss) and her husband, Josh (Tim Heidecker). They spend their on-screen time playing cruel pranks on others, but they also get to show off their impressive gymnastics skills. 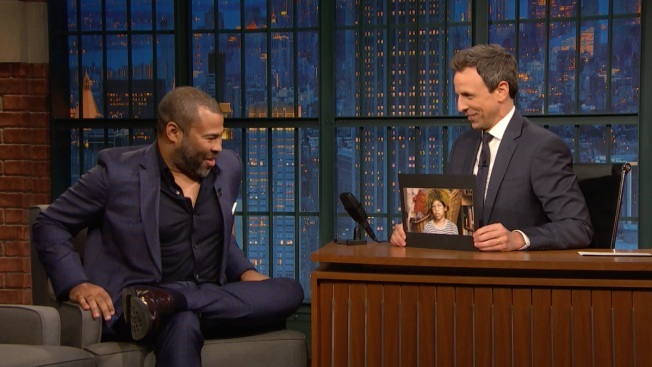 "They have a couple of scenes where they really steal the show,” director Peele told Entertainment Tonight.